Sometimes I read the work of other writers and am inspired. Sometimes I'm moved. Other times I laugh until coffee comes out my nose. Even though this is old, it still tickles my funny bone in a way that is dangerous. I think you should go to Beth Revis's blog right now . Just stay away from any liquids until you've watched all three videos. How Far Can You Go and Still Be Considered Professional? @NON-FIC-AUTHOR (Tweets that a Big Six publisher paid her an advance, but didn't publish her book, so she self-published instead). @BIG-AGENT#1 (with mention to the author) So she's a thief? @BIG-AGENT#2 (with mention to the author and the other agent) No, she's just an idiot. Between them, those agents are followed by almost 25,000 people - mainly writers and those involved in the publishing industry. Without naming and shaming(! ), the author relayed a very serious (and, yes, potentially biased) account of her interaction with a Big Six publisher's marketing team. I won't get into it, but suffice it to say, the fact that she got to keep the advance when the book didn't go to print would suggest she was legally entitled to do so. Which probably means that the publisher was the one who didn't fulfill the contract. Whether I agree with the author's choices or not; whether those agents are impressed by the story or not; I'm really disappointed with how they chose to address it in a public forum. Is this kind of interaction considered acceptable from "Professionals" within the traditional publishing industry? What's really bothering me is the double-standard. Publishing professionals (by which I mean agents and editors who blog and tweet, etc) warn novice authors (like me) against making political, religious, or personal attacks online, all the time. It's considered supremely unprofessional. And rightly so: If I called an agent an "idiot" or a "thief" on Twitter, I'd expect other agents to take a low view of it. It's disrespectful and self-aggrandizing. Yet, as authors, we're supposed to overlook these comments when they come from reputable agents? This isn't the first time I've seen agents name and shame independents on Twitter - though it is the most personal. And it doesn't sit right with me. To me, a call to conduct oneself professionally shouldn't be restricted to interactions with those in the traditional publishing industry. I think it should be extended to everyone. But that's just my unpublished, novice-author self talking. I'm no professional. I guess what I'm feeling is that if that kind of talk is acceptable in traditional circles, do I really want to be part of them? I'm interested to hear what you think about this, but before you comment, please let me be clear: I don't think ALL agents would do this, and I don't want to get into a traditional vs. self-publishing debate. Let's stick to the subject of the professionalism double-standard and how we as authors should handle it. NOTE: I'm monitoring comments today because I want to make sure our conversation maintains the standards these people didn't. Your Turn: What do you think about this kind of public naming and shaming? How does it affect your view of the industry? Or should it only impact our view of the individuals involved? Every so often I get to do something fun because I have a blog and people visit my blog and and then you visit it and everyone's happy that everyone else is visiting.... but I digress. Today, I get to tell you about a blogger, author and Mama who's had a whirlwind year of firsts. I rant into her blog after a very informative and refreshingly honest post she wrote last year about her journey as an agented author, who then wasn't able to sell and book and so, self published. Then she took the self-pubbed book off the shelves... then an a publishing company hired her. Then another company wanted to publish her book. Oh, and during all that she's got another agent and is going to have another baby. But don't let me spoil it for you because it's way funnier the way she tells it. Check her out at www.annerileybooks.com. Add it to your Goodreads "To Read" shelf today! When I sat down with Tammara's books, we weren't solving all the world's problems, or confronting all the world's evils. But we were looking at life through a very unique perspective -- and learning, and growing. These books are (in my opinion) what YA is all about - a little bit of What I Wish My Life Was Like, and a lot of Real. It's the most fun I've had reading books in a long time. I groaned when I reached the end because THERE WERE NO MORE BOOKS. I was officially in love with her hero (anti-hero, of sorts) and just plain fanatical about the author herself. In any case, when I was finished the books and in that awful limbo of wanting more, but having no more material to devour, I skipped to the front of the books to find out who published them. That would be, Tammara Webber. This, my friends, is self-publishing at it's best: When my internal editor didn't notice, and my internal story-swallower didn't have to argue with him. For me, as a reader, these books are GREAT. And while they might not float everyone's boat, there's no need for me to say "Great...for a self-published book..." because they're just plain GREAT. Even better, the author herself makes no apologies, and pulls no punches about the realities of self-publishing. She's got a great set of indie-writing FAQ's to address the most common questions and requests. There's truth in them-thar lines, thar is. So what's my point? My point is, when a story catches the reader's attention, they don't spend time poring over the opening pages for rights assignments or copyright attributions. They just read, and enjoy, and wish there was more. It's authors and books like this that show me how the balance of power is changing. The traditional model of promoting and selling books still works for customers who don't have easy-use, high-content e-readers. But I think we all know the proportion of readers who don't own e-readers is rapidly shrinking. And I suspect in ten years it will be virtually nil. So... for those readers who don't have or like e-readers, the traditional model is still working. There's a rapidly growing, distinctly personal market for e-books that the publishers can't control. The e-reader is smart: It looks at what you bought and tells you about other books like those. It looks at what you bought and tells you what other people who bought that liked. And it doesn't distinguish by publisher or agent. The only thing that pulls a book to the top of the recommendations pile, is purchases. It means the agents and publishers aren't the gatekeepers anymore. For digital readers, the real gatekeepers are the readers. (Finally!) Because no matter where or how a book came into print, if people keep buying it, Amazon (or Barnes and Noble, or whoever) keep recommending it. The bigger the digital proportion of readers, the less powerful the traditional publishing model will be. Now, don't get me wrong: Traditional publishers still turn out great books from great writers. They'll get the word of mouth recommendations, which equal sales, which equal e-reader recommendations too. But the playing field is evening up. And I, for one, am a convert. Thank you, Amazon, for telling me I might like Tammara Webber's books. YOU WERE RIGHT. Your Turn: Do you think readers have the power yet? Or are there still barriers? How long do you think it will be before e-readers are the standard for purchasing and reading books? Ever suffered writer's block? I have - for the past month. I kicked off a new manuscript a few weeks ago, something I was really excited about. Characters I could see really clearly. Even scenes I could feel. Unfortunately, my plot progression just wouldn't come. And when I don't know where I'm going, I can't write. It's demoralizing. I'm a fast writer. I can usually bang out a first draft in less than three months. It's not unusual for me to hit an obstacle along the way, but this is the first time it happened at chapter four. This is also the first time in over three years that I've gone a full month without writing on a book. While I hope it doesn't happen again, I did learn something: Writing isn't the point of life. 1. I'm often feeling 'unbalanced' between family life and writing. This was a chance to swing in the other direction. After a few days of stagnating, I gave up trying to write and accepted that things weren't going my way. I used the extra time to hang out with my son, talk to my husband, and generally do lots of the little things I felt like I often miss. 2. Novel WIP's aren't the only kind of writing that offer satisfaction. I wrote a lot of blogposts in advance, some long emails to family and friends, and a few quippy quotes for twitter and facebook. Since I was frustrated in one creative avenue, it was nice to channel that energy somewhere else. 3. I've rediscovered reading multiple full-length novels in a week. All the writers I admire say writers have to be avid readers. I am, but I have so few hours to choose my activity, that books often take me a week or more to finish. With so many writing hours free, I devoured books by the handful. A nice mental vacation, and very inspiring! 4. This isn't the time to panic. As an unpublished writer I still have the luxury of choosing my own goals and deadlines. Yes, I would have liked to have been a good 50,000 words further ahead with this project, but in the grand scheme of things... well, meh. 5. Sometimes the cure for the block is out of your control. For me, in this case, it took a conversation with a writer friend wherein I whined about all the problems I had, the characters I was dealing with and the plot I couldn't see. She (of course, because she's a genius) saw the answer almost immediately. I didn't. It took another hour of talking and her explaining her idea again for me to see exactly how perfectly she'd nailed it the first time. (And she really was right. I wrote a chapter in an hour today and can't wait to get back to the keyboard tomorrow). This is just my journey, of course. But I'll be referring to this post in future, I'm sure. If you're ever in that spot and you run across this post, go ahead and comment. Maybe all it will take to trigger your inspiration is a conversation with moi. Or maybe not. But at least you won't be alone in it anymore. Your Turn: Are you suffering from the block? Is there a problem we can help you with? Take a person of interest (you), one dependable computer and a google-friendly platform (blogger, wordpress, etc). Regularly combine with solid content (i.e. posts that take some time and thought, have been written and revised -- and slept on overnight if there's a chance for controversy). Now cook. Cook at least three or four times before telling people about your baked goods. (Make sure there's some product in the pipeline for people to see if they visit). Establish social media outlets to draw attention (Twitter and maybe Facebook too) and keep cooking. Don't use the social media only to talk about your blog (or book). Use it to talk to people. Be nice. Be funny. Be the kind of person you wish would follow you. Promote others without asking for reciprocation. And keep cooking. Refine your social media following by following people who are similar to you / your audience. And cook some more. Cook every few days, even if no one is watching. Find people on your chosen social media who are achieving what you want to achieve and follow their followers. And keep cooking. Cook more than once a week, even if the people around you are scoffing at your 16 followers. Cook even when you get comments from people telling you you don't know what you're talking about. Cook even when the novelty has passed and you wonder if you'll ever get more than 80 followers. Keep on cooking. And cooking. And cooking. One day you'll have enough of a following that you'll realise you're running a blog like the one you envied eighteen months ago. The next day you'll start getting emails from people asking you how you did it. Point them to this blogpost, and keep cooking. Then, one day, when you've done something worth shouting about, all that cooking will pay off. You'll already have a nice big crowd of friends (not followers) to share the joy with. And you'll find out, they do a great job of telling other people about you. Your Turn: Any tips for creating a following? Any questions? Drop me a line at aimeelsalter (at) gmail.com, Jae, and we'll organize ourselves. Thanks for taking part everyone. And if you haven't already, take a scroll through the First 500 Critiques and offer the authors any tips you can to help them polish those opening pages to a shine. A little while ago I read the best author interview I've ever read. It somehow manages to be a fascinating work of memoir, writing craft, and characterization all rolled into one (with a dollop of marketing on top). If you have any interest in crime writing, or writing disturbingly realistic dark characters, do yourself a favor and read this interview. One for the win! This is the fifth and final in a series of posts wherein I critique the first 500 words of an author's book. You're free to add your notes in the comments (and disagree with mine). Just keep in mind these authors have volunteered their work, so please make sure any comments are constructive! The critique material begins about halfway down. Gareth looked at me with such tenderness, I was almost undone. When he reached across the table and grasped my arm, only the iron discipline forged as Overseer prevented me from breaking down and giving my grief full reign. Never mind he was the longest serving of the twelve kings of Gaelladorn, and I the Conscience of the Kingdom. Because of my exalted position no one had as much as patted me on the shoulder since Alyssa died. Although he hadn't known my wife, he knew me well enough to guess the depth of my suffering. I should have looked him in the eye and at least mouthed the familiar platitudes, but I couldn't bring myself to do it. In the privacy of his study, I let the cloak of office slip and dropped my head, fighting to regain my composure. When I was sure I wouldn't betray myself, I let my gaze drift around the deceptively casual furnishings of the King's personal bolt-hole, feigning an interest in the exquisite tapestries so I wouldn't have to make eye contact. I'm sure Gareth wasn't fooled, we'd known each other for decades, and I'd never had time for the trappings of wealth. But at least when I spoke my voice was steady. He gave me a hard look, then - to my relief, relaxed back into his chair and started to laugh. A warm, belly-deep rumble that gained momentum and lit up his craggy features. I didn't quite have it in me to laugh with him, but I bestowed an indulgent smile. My head snapped up; expecting a joke. But to my surprise, he was staring out of the window at the Sanctuary, its spectacular honey-coloured silhouette dominating the skyline of Tamar. He spun around, eyes flashing. He wasn't used to being questioned, and I held up my hands as if to remind him who he was speaking to. Gareth ran his hands through his hair and sighed heavily, his anger dissipating as quickly as it came. When he spoke, his voice was softer. I shrugged. Building the Sanctuary had been my great passion, another way to draw people to the One who laid the Heartstone. But now it was almost finished, I found no pleasure in it. When I didn't elaborate he let the matter drop. “I don't know why everyone's so surprised I'm stepping down. I'm getting older.” He gave me another hard look, daring me to contradict him. But unlike many that surrounded the King, I wasn't in the business of flattery. I really liked this opening, but since I’ve read ahead, I know this POV is male. I didn’t get that trigger until the last sentence. Consider putting the last sentence of this paragraph first and adding the words “my wife” before her name. This is all really good, though the line about never having had time for the trappings of wealth seemed a little out of context for me. I had to re-read to understand that it stemmed from the viewing of the tapestries. I just thought he meant he pretended to be distracted. I don’t know who is talking about stepping down, so I’m uncertain about what’s going on. So the King is talking about stepping down, and the POV character is surprised? I’d suggest having your speech either precede or follow the narrative so we know whether the speech comes from the POV character or not. This is good character development. I’d like to know why he finds no pleasure in it now. Just one more sentence could round the impression out really well. This is a really good, really smooth read. I was grounded from the beginning. The only two downfalls I see are easily fixed: Make sure the first sentence indicates that the POV character is male, and make sure your speech is either attributed, or attached to the narrative paragraph in such a way as to indicate who is speaking. Beyond that, I don’t think I can help you improve on this. I feel your POV character’s pain and weariness, which makes me want to read more. This is a different kind of tension than I’m accustomed to, but still very effective. I want to know what happened to this man’s wife, what’s involved in being “the conscience of the Kingdom”, and whether or not the king stepping down is a good or bad thing. All in all, an excellent read. Well done. If I’d been standing in the bookstore I would have kept turning pages! Insecurity says your writing is awful. Humility says there's still work to be done. Insecurity tells you everyone else is much better than you. Humility tells you that with the right focus, one day you could be that good. Insecurity wants you to believe criticism is a personal attack and should be defended. Humility understands another pair of eyes might catch something you don't, so considers any feedback. Insecurity gets jealous of other people's success. Humility cheers and sets a goal. Insecurity says what's the point of revising again? Humility says, if I just keep working, one day it will get there. Insecurity is scared to fail, so fails to try. Humility accepts failure as a risk because success might follow. Insecurity is bruised by seeking out advice because it means others are better, stronger or more successful, and that's hard. Humility avidly seeks advice because others are better, stronger or more successful, so maybe they know something useful. Insecurity despairs and gives up. Humility perserveres. Which do you think is most likely to lead you to success? Your Turn: How do you turn insecurity into humility? What are the hardest obstacles to overcome? 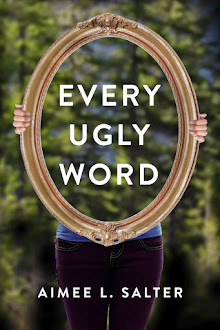 This is the fourth in a series of posts where I critique the first 500 words of an author's book. You're free to add your notes in the comments (and disagree with mine). Just keep in mind these authors have volunteered their work, so please make sure any comments are constructive! Mom held the airport sign toward customs. The sign was in its artsy glory, with a red border, and the surname “Walker” having too much of a flair. “Brighten up, Bryan.” Mom said. I recognized the exchange student from the photograph the agency gave us. He approached us, rolling suitcase in tow. He weaved through the crowd, straightened his path as he zeroed onto us—and tripped at our feet. “Right.” I shook his hand. His handshake was firm. “I’m Bryan. Welcome to St. Louis. You’re Phineas Walker, or...Finn?” For some reason, he never contacted us beforehand, only filling out the applications. “Yes, it’s Finn.” Finn slid his fingers out of my grip. So far, he came off as fragile and mild-mannered. Finn better not need a Jacuzzi. Just a few secods from Mom alienating Finn, I butted in. "Should we getting home, so we can show Finn around the house?" “Sure.” Mom led us toward the main part of the airport. But instead her being the leader, I went in front. I waved Finn to be next to me. We needed to start getting familiar with each other, even if I was reluctant. We entered the main terminal toward the parking garage. Warm colors bounced off the walls, with babble of travelers arriving or departing. A dreary overcast hung over the glass ceiling. Only an hour ago, the sun shined. Weather could be a bipolar mistress—especially in St. Louis. I took a closer look at him. Of course he was shorter than me, but by an entire head. Brown hair side-swept with a comb, a blue collared shirt, and khakis. His clothes hung off his scrawny limbs. Finn gazed in the direction of the arrival-departure boards and the airport advertisements in their glass cases. His tenseness betrayed his cultural shock or stress. Whatever it was, he was a fish flopping on land. I got a little confused. Your second sentence starts about the design, comma’s into the description, then goes back to the design. Nice introduction of tension / foreshadowing. But I’d like to know if the exchange student is male or female? Are we in LGBTQ? Is this a way to delay the reveal? That's an odd phrasing that stopped my read. Consider using "I spluttered" for the attribution, or something like that. Something that indicates the fluster. To what? You can’t create tension without explanation when we have no background or context. He, he, his, he – there’s a lot of this here and it stands out. You’ve got an opportunity here to organically introduce actual description (either the standard height / hair / eyes, or more metaphoric imagery). But without it, none of the action pulls me because I don’t know who I’m supposed to picture. He had a soft British accent, with the voice of a feeble-lunged flutist. Have people introduce themselves, instead of each other. For some reason, he never contacted us beforehand, only filling out the applications. Good point to note, but put it at the beginning. Give us some emotional expectation at the top so we can anticipate his arrival and watch it unfold. You’re telling here, not showing. Unfortunately, the ‘fragile’ bit isn’t shown so what you’re saying contradicts what I see. In my mind a fragile person wouldn’t brush themselves off after a tumble, or have a firm handshake. Just a few seconds from Mom alienating Finn, I butted in. How did she alienate him? Missing a word in there at the beginning. “Sure.” Mom led us toward the main part of the airport. But instead her being the leader, I went in front. Another missing word. Rather than describing who should lead, just show us that Bryan went first – use this as a moment for him to respond to what’s happened and give us a gauge about how he feels about this new person. I waved Finn to be next to me. We needed to start getting familiar with each other, even if I was reluctant. Again, your telling contradicts what you’re showing. The only thing he’s done to seem ‘reluctant’ is say he was at the very beginning. Everything else has been helpful and welcoming. Felt more to me like he was being sullen with his mother to hide his true feelings. You definitely needed to give this the moment he arrived, to anchor the image in our minds. This is too late. This is the place to give an emotional reaction, not a physical description. I like the metaphor, it’s vivid. But again I don’t feel like we’ve seen this tenseness or out-of-water. He tripped, but other than that, he’s been polite and amenable. Rather than telling the reader about this, let the image develop in action over time – he could trip over words, seem to not understand, look around sadly, keep to himself in his room, etc, etc, etc. As the pages progress, you can SHOW that he’s feeling out of sorts, rather than trying to tell it here where we still need proof. Who? Bryan and his mother, and later Finn. All easily placed. What? Finn is arriving as an exchange student to stay with them. So, you’ve got all the important stuff here, well done! I’d really encourage you to put the description of Finn right at the moment he arrives – let us see him through Bryan’s eyes, and maybe even get a hint of Bryan’s feelings now that he’s seen him. I like how you introduced the LGBTQ aspect – very organic and right up front. Well done. I wouldn’t bother waiting for the ‘reveal’. Chances are, your blurb will note that he’s a gay teen anyway. Just write your story without treating this aspect any differently than anything else. I do really like this opening – it’s a great place to start your story. I’d like to see the relationship between these two unfold, and wonder about the cultural aspects too (as someone who grew up in two English-speaking cultures, these types of stories are close to my heart). My main concern here is that you’re injecting too much narrative of what you want the reader to see, rather than just showing it through the actions / reactions of the characters. Consider this: If you have the right body language and emotional-sequels written in, there’s no need for you to tell the reader how the characters feel. If you have to tell, chances are you aren’t demonstrating the right cues. For example, rather than “I folded my arms, refusing to reign in my gloominess” try something like: I folded my arms, glaring at her. Obviously these are in my voice, not yours. I’m not suggesting these as actual replacements, just trying to give you an idea of what I mean. So, all in all, I think you’ve got a good solid beginning. It just needs a little refining to make sure you’re setting the tone of the relationships via show, not tell. And make sure the descriptions come as each character enters the scene. Your Turn: Do you have any suggestions for the author to help improve the opening? Were you hooked by the writing sample provided?